John began his professional photography education in ernest as a photo assistant. It was so valuable, he wrote: "The Photographer's Assistant" twice, before and after the digital revolution. John continued to photograph commercial and magazine assignments, while photographing landscapes of the American West for his stock photo library. John is represented by Getty Images. 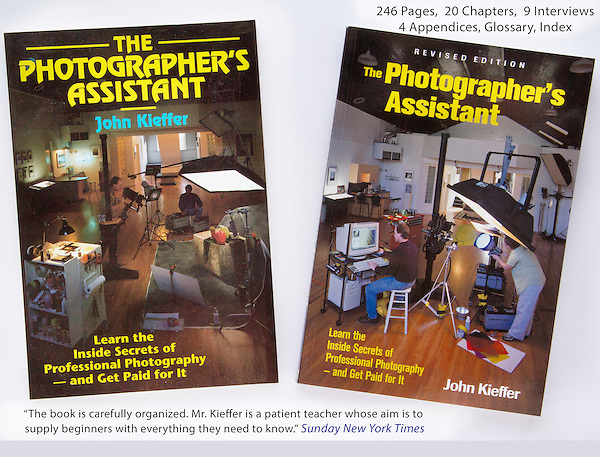 The Photographer's Assistant, John Kieffer author, before digital photography (left cover), early digital photography (right cover).